Lovers of lace can now discover the delights of creating their own aromatic gifts in delicate white knitted cotton. More than seventy stunning patterns are featured in this book, ranging from simple sachets and edgings to cushions and 1930s-style half dolls. Many of the designs date from the nineteenth century and have been worked by knitters keen to preserve them for present and future generations. Adapted where necessary, the timeless charm of the originals has been maintained. All the patterns are suitable for knitters of moderate skill, and require little sewing or assembly. Instructions on creating pot pourri from your garden flowers are also provided. 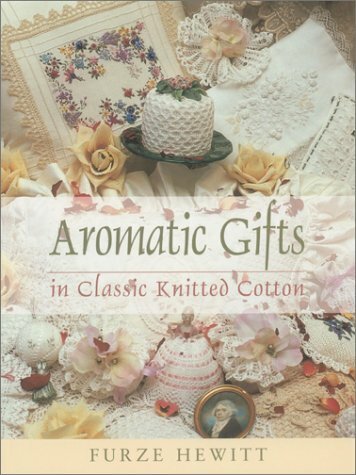 Aromatic Gifts in Classic Knitted Cotton will inspire all lovers of fine knitting to create beautiful and fragrant articles that will last a lifetime and beyond.